FF Attribute Mono is a typeface created by Viktor Nübel and published by FontFont which has monospaced design. It is available in 7 weights (from Thin to Black) and italics, useful OpenType features and language support. It merge well with FF Attribute Text. Also is ideal for communication purpose, programming, branding etc. Enjoy! Price: starting from $69,00 for one font to $199,00 for all 14 fonts. 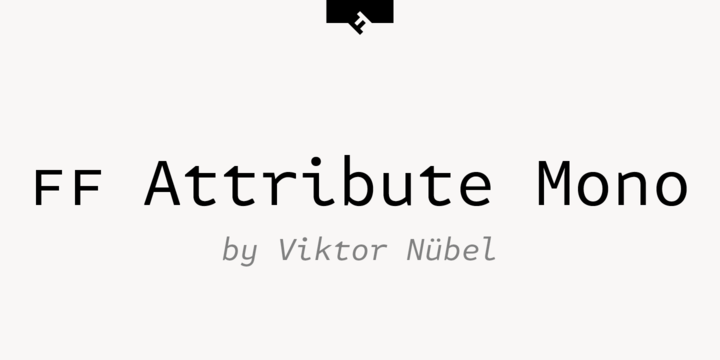 A font description published on Monday, January 8th, 2018 in FontFont, Fonts, Viktor Nubel by Alexandra that has 1,156 views.